Many regions require taxes to be applied on vacation rentals. 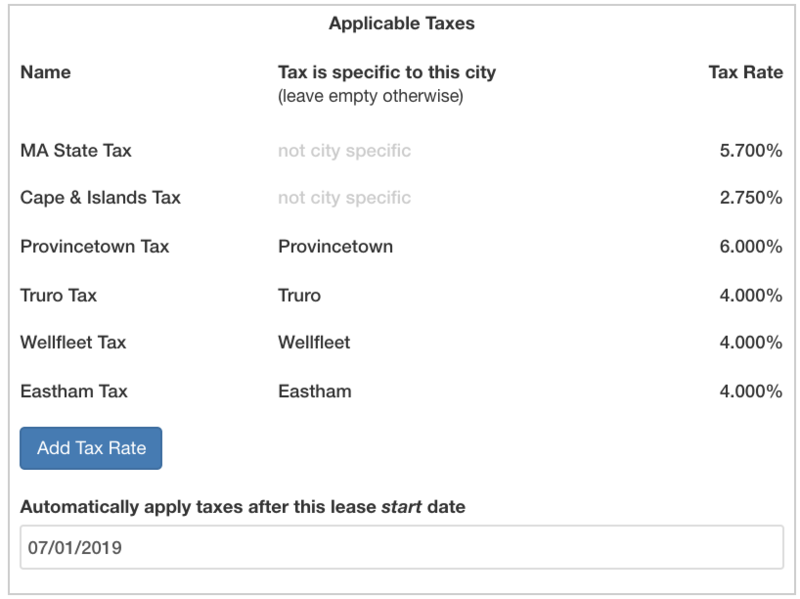 The Rover IDX Custom Listing Panel now supports State and Local taxes for your vacation rental properties. Setup applicable tax rates in the Settings tab, and taxes will be automatically applied to leases. If there are different tax rates for different towns, the correct rate will be applied for the property - based on the town the property is located within. Taxes are calculated correctly during the lease transaction. 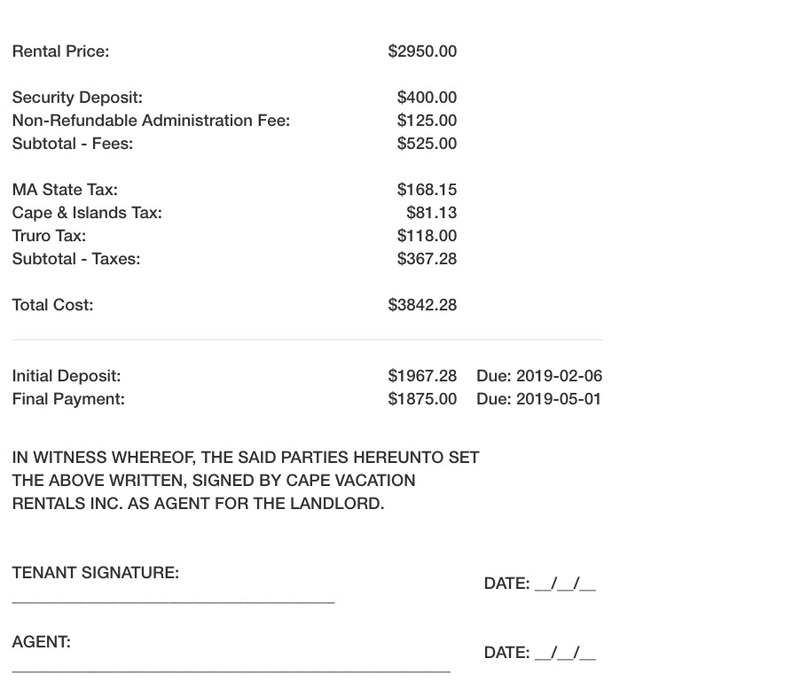 The lease is automatically generated with an easy to read tax summary, and the disbursements report helps keep track of what is still owed. If necessary, taxes (and all financial data) can be overridden in the Financials tax. Simply click in the field and change the value, and then press Save.